Each morning we serve a wonderful buffet breakfast, and it is included for hotel residents. In the evening you can visit our “Shipwreck Hilda” bar. 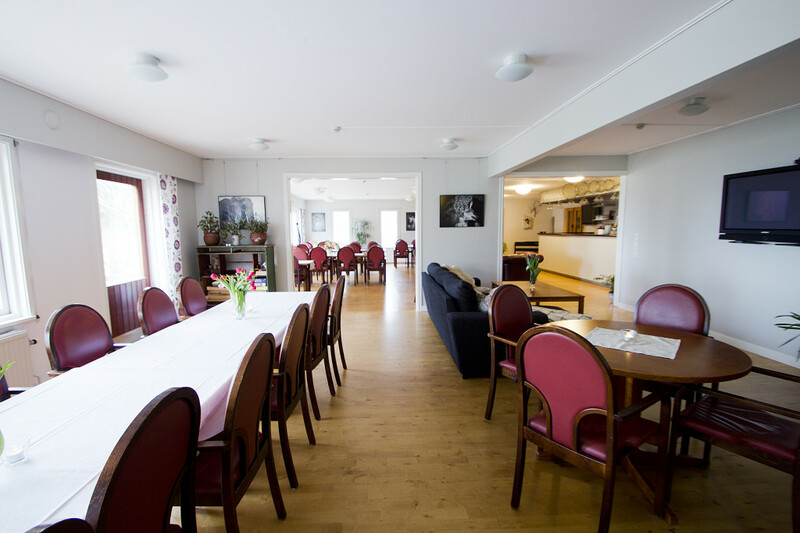 Here you can relax and endevour a good wine or try any of the many fine brews of beer from the Åland brewery. For those who would like to grab a good bite, there is a bar menu to order from during season. When the summer comes, the dining terrace is a wonderful place to sit and enjoy the sea-view. For groups, conferences and events, we can prepare anything from traditonal home-cooking to three-course menus by request. If you are planning a club meeting or a great party, we will tailor a menu just the way you want it. Feel free to get in touch with us, for any inquiries and ideas! Off-season, the restaurant and B-licensed bar are available to booked groups only.